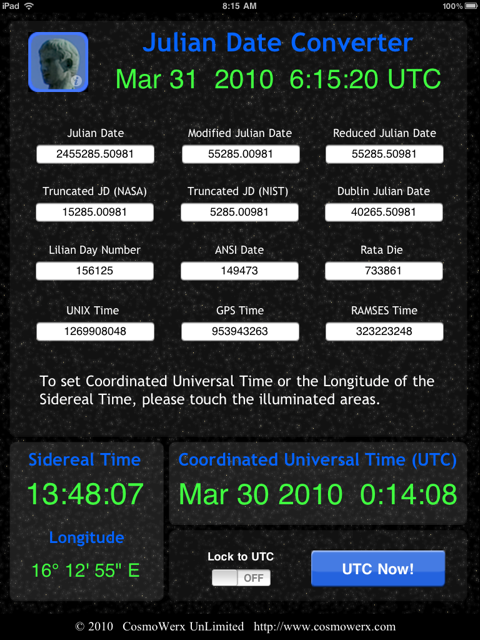 The Sidereal Time at the users present position (using iPad location services) or any given longitude is also shown. 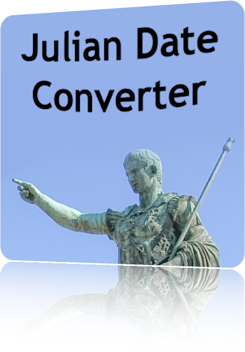 The Julian date (JD), not to be confused with Julian year, is the number of days and fractions of a day since noon January 1, 4713 BC at Greenwich. The Modified Julian Date (MJD) has an offset of 2,400,000.5 days from the Julian Date and hence starts at mJulian Date Converteridnight November 17, 1858. The Julian Date is often used for scientific time measurement by the astronomy community and was introduced to provide a single system of dates that could be used when working with different calendars.